If you play games or use graphically intensive programs, the graphics card in your computer is the key to everything. It is the primary component that influences how detailed and how smooth your visual experience will be. Upgrading a graphics card isn’t cheap so knowing what to look for when you go shopping is paramount. Here at Dave’s Computers we are always upgrading computers. Sometimes for clients but more often for ourselves. As computer enthusiasts, this is more a way of life than just a job and when we aren’t building or repairing computers here at the store, we are building or playing with them at home. That gives us valuable insight into the computer industry, components and how everything fits together. Today we bring that insight to you dear reader so that you can make an informed decision about your next upgrade. Here are five things you need to know before buying a new graphics card. It sounds obvious, but this point is so important that it needs to be put out there. Before you spend money on a new card you need to know what you have, what you need and what is out there right now. Only then can you make an informed decision about what graphics card to buy for your computer. If you don’t have a copy already, download CPU-Z and install it. This will tell you exactly what graphics card you have. Any purchase you make needs to offer a significant performance boost over your current card to warrant spending the money. Check your monitor(s) too. If you’re planning to buy a graphics card capable of 4K but only have HD monitors, you will either have to upgrade your monitors or not use the 4K capability. If it’s the latter, you may as well either save money or concentrate on other capabilities. More power. Newer graphics cards are more energy efficient than older cards but may have higher peak power demands. More capabilities usually mean more energy is needed. Your power supply will need to be able to supply that power if you are to make the most of your new card. Check out the wattage of your power supply and make sure it can deliver enough energy. If you’re unsure, this power supply calculator from Corsair can help. Finally, there really is no point buying the latest, most powerful graphics card unless you have a recent processor and fast RAM. Without a fast CPU and RAM, the graphics card will bottleneck and not be able to work to its full potential. There is no avoiding it, graphics cards are expensive. They run from $200 for an okay one to over $1,000 for a cutting-edge card. That’s why you need to research and plan your purchase. Buy the wrong card or one that isn’t suitable for what you want it for and you could be wasting hundreds of dollars. Plus, it is very easy to blow a budget. Shiny new computer components have a very special allure and marketing departments know that if they paint a certain picture, you will part with your money. Hold firm to your budget. If you don’t know your GTX 1080 from your RX 980 you need to learn. Graphics cards are all about numbers. Clock speeds, RAM, bandwidth, pixel rates, texture rates, clock speeds, memory clock speed, shading units, texture mapping units and TDP all factor in to how good a graphics card is. You need to know what all those things mean. This graphics card hierarchy table will help you get an idea of where the different models sit in terms of power and ability. It also gives you an idea of how much they all cost. At the moment, the higher the model number, the higher in the hierarchy a graphics card sits. So the Nvidia GTX 1080 is more powerful than the GTX 980 and the AMD Radon RX 480 is more powerful than an RX 470. Take some time to familiarize yourself with how everything is structured, where each card sits in the market and where it sits compared to other cards. 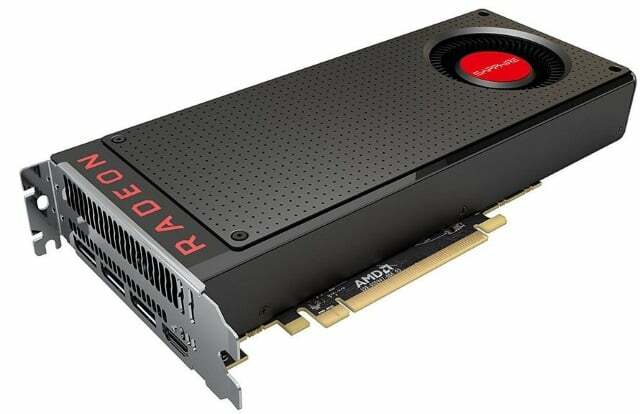 Once you have an idea of what all the jargon means, what your requirements are, what you already have and whether your current hardware will allow your graphics card to fly or not, we have to check compatibility. I mentioned above about power supplies and demands. There is one other things to check, how many extra six or eight-pin PCIe power connectors it needs. As well as taking power from the motherboard, most newer cards also take power directly from the power supply. You will need at least one, possibly two six or eight-pin PCIe power connectors spare on your power supply to feed it enough energy to work properly. You will also need to check the card will physically fit into your case. Most new graphics cards will use a PCIe 16 slot, which most recent motherboards have. Some cards are long, some are tall and some are wide. Some cards will block other slots or be too long for some computer cases. Most stores will list the cards’ dimensions, so it pays to know what space you have to work with so you know your card will fit. My final piece of advice for buying a new graphics card is to know what it important and what is not. The choice between Nvidia and AMD is not that important right now as they are close in performance. The amount of RAM is less important than bandwidth. Depending on your preference, fan noise is less important than cooling or the other way round. Reference cards are no more important than non-reference cards. Reference cards are sold directly by Nvidia and AMD while non-reference are sold to manufacturers who do their own thing with the card and then sell it to you. As you can see, there is a huge amount of information to process when considering a graphics card upgrade. If you need help with your decision, visit Dave’s Computers. We can discuss your needs and suggest something that delivers what you need. We can even set it up for you!